ALU-HOLZ 68mm A delicately rounded shape frame which is protected by aluminium cover from the outside. It not only provides additional protection to the wood frame but also a decoration to the facade. Joining wood and aluminium allows for maximum usage of its functionality and decoration of each of these materials. Outside aluminium frame guarantees real durability. Inside wooden frame provides warmth and beauty. 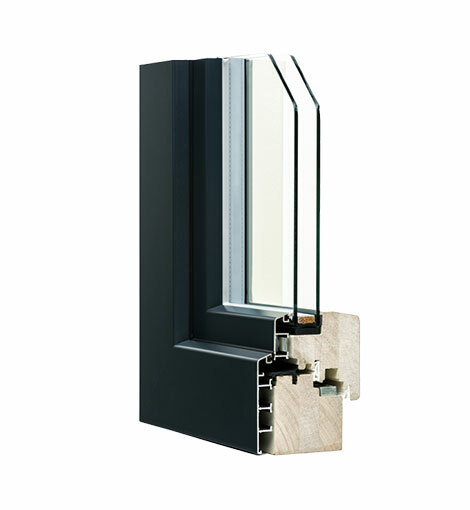 Wooden frame thickness 68mm + 18,5mm aluminium profile from the outside. Choice of any glass panes with maximum thickness of 24/30/36mm, quadrat FB of 38(+1)/44(+1)/50(+1). Distance frame is offered as standard.